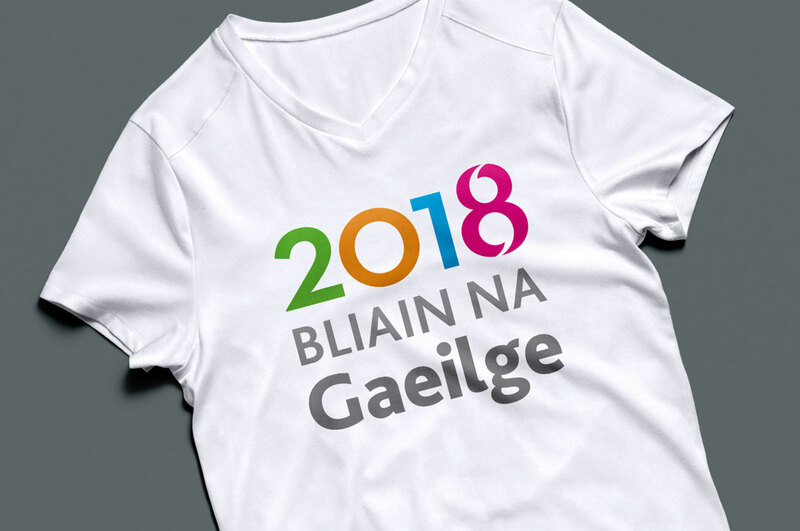 Ceiliúradh fad bliana ar an nGaeilge is ea Bliain na Gaeilge 2018. 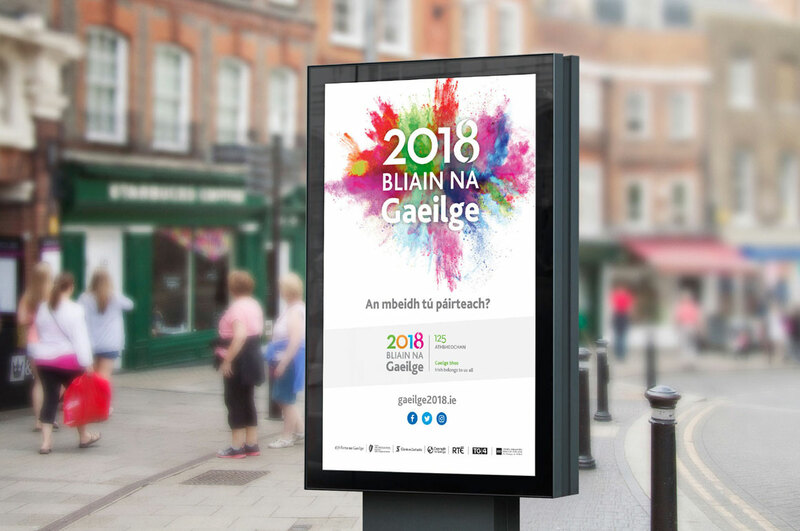 Úsáideann réimse eagraíochtaí stáit, lena n-áirítear Foras na Gaeilge, Conradh na Gaeilge, an Roinn Cultúir, Oidhreachta agus Gaeltachta, RTÉ agus TG4, an lógó, ina bhfuil comharthaí athfhriotail taobh istigh den fhigiúr uimhir a hocht in 2018, le níos mó rannpháirtíochta sa Ghaeilge a chur chun cinn. 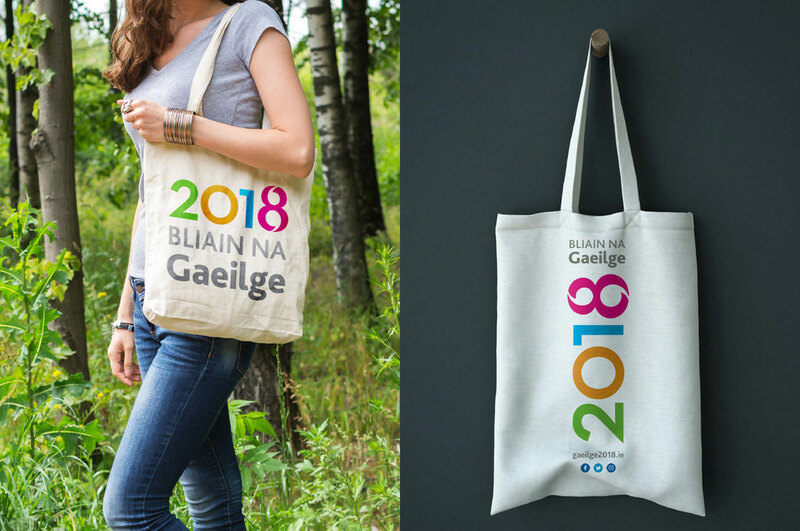 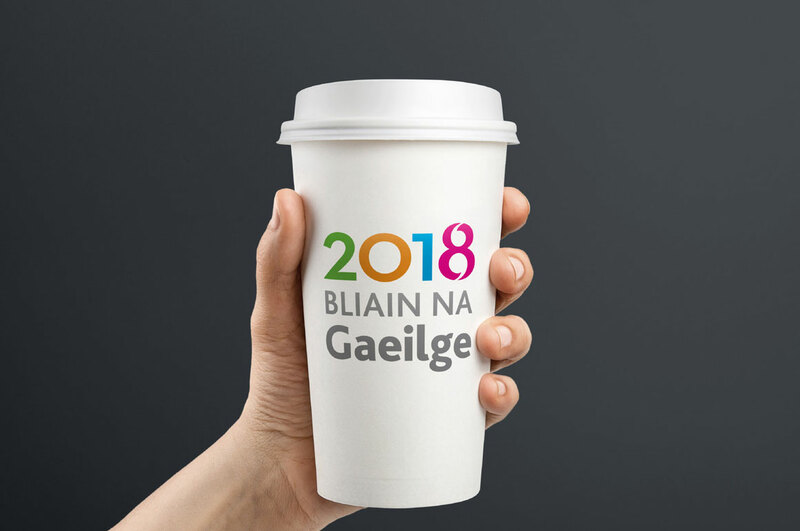 Bliain na Gaeilge 2018 is a year long celebration of the Irish language. 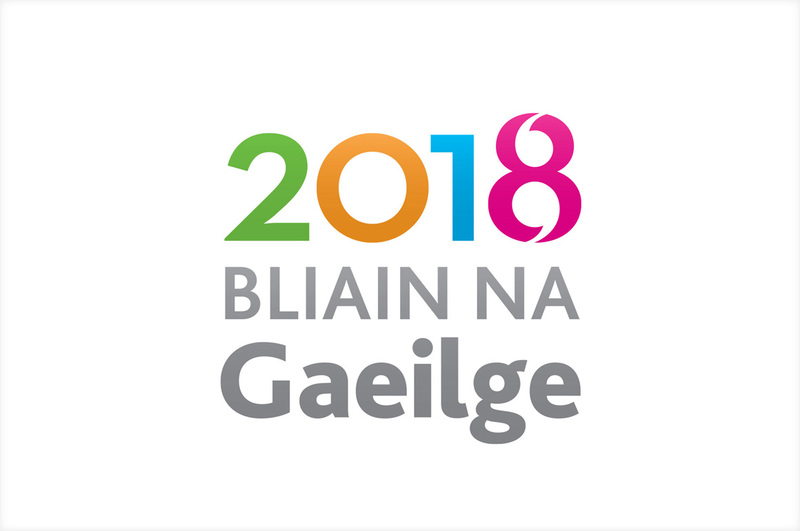 The logo, which features speech marks within the figure eight of 2018, is used to promote increased participation in the Irish language by a variety of state organisations, including Foras na Gaeilge, Conradh na Gaeilge, Department of Culture, Heritage and the Gaeltacht, Údarás na Gaeltachta, RTÉ and TG4.